Adi Shankaracharya is one of the most illustrious figures in the rich spiritual history of India. He worked tirelessly to establish the sublime teachings of Advaita Vedanta – the philosophy of Oneness. He also advocated the devotional path (bhakti marga) through his various compositions which have been sung through the ages. 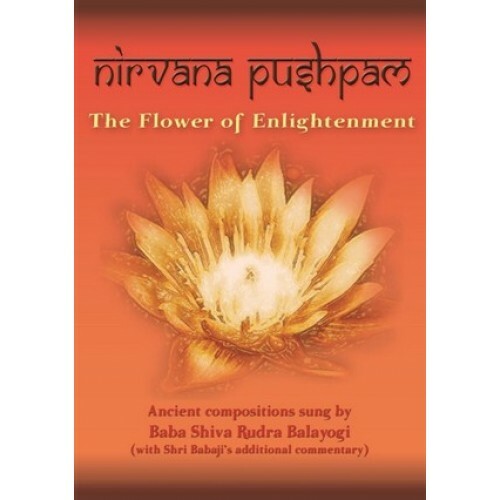 This mp3 comprises two compositions, Nirvana Shatkam and Bhaja Govindam, which capture the essence of the various paths illuminated by the great Master. They are beautifully sung by the Self Realized Master Baba Shiva Rudra Balayogi, for whom these verses were a source of deep inspiration in his own extraordinary spiritual life.